Told by Scheherazade to her new husband, the King, Arabian Nights is actually many, many stories! To keep her husband entertained, the gorgeous Queen regaled him with tales for 1,001 nights. Filled with romance, magic, and fantastic things, Scheherazade’s fables still capture our imagination…who doesn’t want a genie like in Aladdin and the Wonderful Lamp? While our clever Queen’s version never had anything about Princess Jasmine, we want her jewels and palace just the same! In addition to providing a clever solution to a sticky situation, Scheherazade’s Arabian Nights stories are rich inspiration for brides with an exotic, opulent wedding in mind. 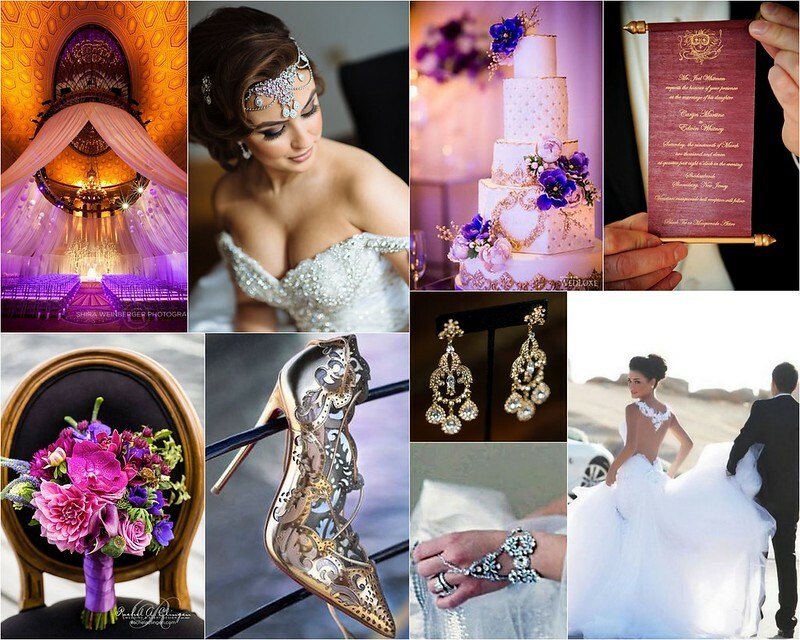 Channel the story of Aladdin through lush purples, reds, and pinks and focus your décor on palatial grandeur. Choose a gown of unparalleled sultry elegance, and gild yourself in golden crystal-encrusted jewelry and a dramatic headpiece fit for a desert Queen. For us, the name Scheherazade conjures up a kohl-eyed, jewel-draped regal beauty. Inspired by that vision, create an ornate wedding of blush and white, with every table overflowing with flowers and all light by candlelight. Make a delicate statement with your bridal look by pairing gold filigree jewelry and a crystal circlet flower headpiece with a fashion-forward gown. 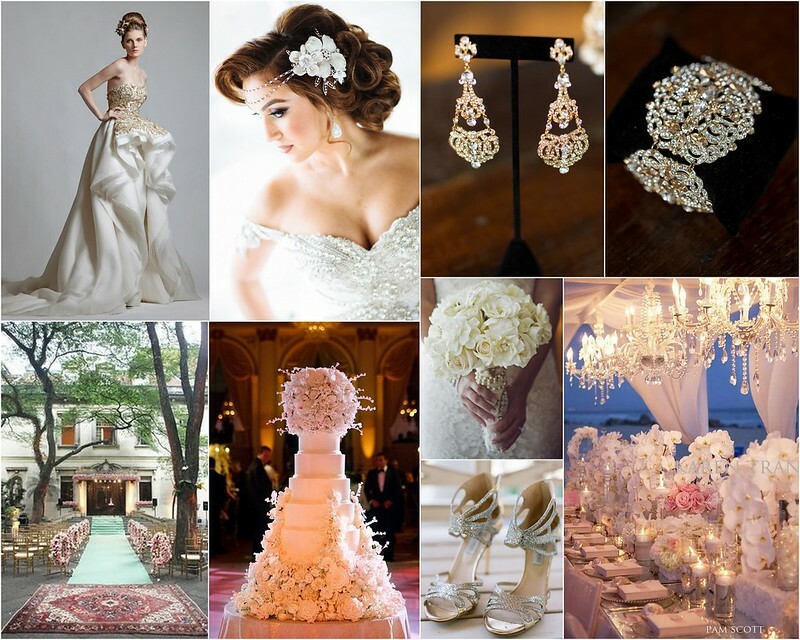 Choose one-of-a-kind accessories for your unforgettable bridal look by visiting us at our Brooklyn boutique! This entry was posted on Wednesday, June 3rd, 2015 at 3:54 pm	and is filed under Inspiration. You can follow any responses to this entry through the RSS 2.0 feed. You can skip to the end and leave a response. Pinging is currently not allowed.